Apple vs. Samsung -- The War on the Mobile Market. The smartphone you’re holding in your hand represents more than a link to all of the technology the 21st century has to offer. It’s also a key piece in the war of Apple vs. Samsung! This war isn’t just being fought in commercials, though. These two mobile giants have taken their fight to court! 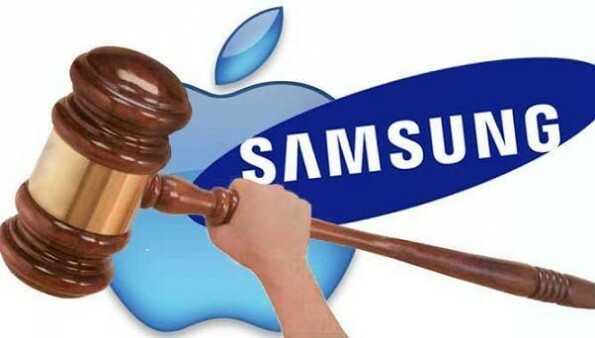 Most recently, Samsung was found to have infringed on two of Apple’s patents. As a result, some of Samsung’s products will never go on sale in the U.S. But the court battles don’t end there. Apple wants more Samsung phones permanently banned from the market, because they allegedly violated several other patents. As of mid-2013, Apple has filed four patent cases in the U.S. and dozens more abroad. How did all of this fighting begin? Apple’s iPhone has long been considered a must-have item, but Samsung has recently made a major dent in the mobile market. In fact, Samsung’s stock shot up 60% from the end of 2010 to the beginning of 2013. And, since 2012, Samsung has sold twice as many smartphones as Apple has. So, they should be winning the war of Apple vs. Samsung by a mile, right? Samsung’s products are much cheaper than Apple’s are, so the difference in profits doesn’t add up to all that much. Compared to the $5.2 billion that Samsung made in the second quarter of 2013, Apple brought in $4.6 billion. Bottom line — this war is VERY tight! Adding to the problem is the fact that ideas seem to be running thin. After all, there are only so many features that can be included on one smartphone. And, consumers want more affordable options. The average smartphone costs $375 today, which is a far cry from the $450 average we saw back in 2011. So, Apple and Samsung are faced with a unique challenge — create smartphones that sit on the cutting edge, while also keeping costs down. 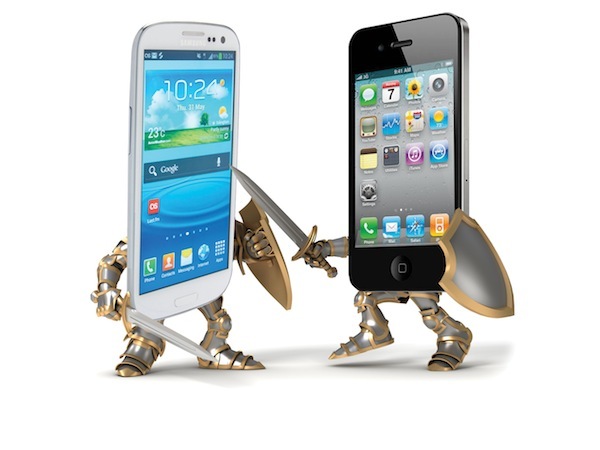 The latest in the war of Apple vs. Samsung features the battle between Apple’s iPhone 5 and Samsung’s Galaxy S4. While both phones have comparable storage capacities, the similarities end there. They use totally different software, the Galaxy S4 has a larger screen (one whole inch larger to be exact! ), and the Galaxy S4 has a better camera and more speakers. However, the iPhone 5 is made out of better materials (glass and aluminum, compared to plastic). 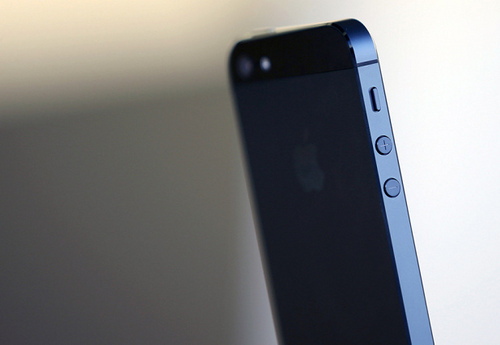 The iPhone 5 also has something very big working in its favor — the status factor. Ever since the very first iPhone debuted, it has been a status symbol. That recognition is something Samsung only wishes it had! So, the battle of Apple vs. Samsung may be getting hot, but don’t expect it to end anytime soon. The way these two are going, we can only expect them to ramp up the competition — which, at the end of the day, is great for consumers! Comment and share this article and get reward points! I'm an Apple enthusiast with a critical view. 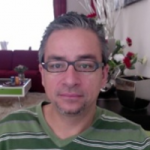 I have created AppleSocial with a goal to involve the Apple community into a creative dialog and to stimulate and improve people's engagement on all those exciting Apple products. Apple has very innovative features compared to Samsung but Samsung has many apps that cannot be installed on an iPad or iPhone. That is the reason that people prefer Samsung instead of iPad. The price is also high of an iPad compared to a Samsung tablet. Apple is more expensive than Samsung and Samsung supports Google play store apps that cannot be supported on any Apple device.